Become a Ginvestor - Help Us To Grow Bullards! 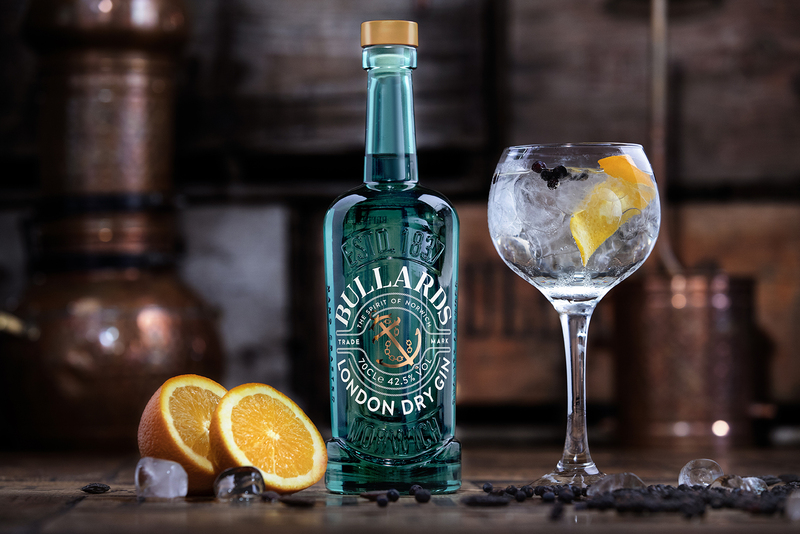 Bullards craft award-winning gins in the heart of Norwich. We need your help to grow so we can offer more amazing gin products and flavours. We are a small and passionate team of gin distillers, proud to be making unique, award-winning gin in the heart of Norwich. Bullards is a name synonymous with the brewing heritage of Norwich. Over the last three years we’ve been working to revive it with the support of John Bullard, great-great-grandson of the original founder. In 2015, we established Norwich’s first dedicated gin distillery in more than 150 years, and began developing our debut gin. Since then, we’ve been delighted to have an overwhelming response to our products from gin lovers and industry experts alike - we’ve even won awards for our work, and last year our London Dry Gin was voted the best in the world. But, we’re struggling to keep up with the demand for our gin. And that’s where you come in. Currently, we distil all our gin in a 120L still, and we’d like to upgrade this to a 600L still with over quadruple the capacity. This will enable us to make more gin and develop new delicious, innovative flavours for you to enjoy. Four times the equipment means four times the gin! Sadly, the size of the new still means we’ll outgrow our current home at The Ten Bells on St Benedicts Street. We’ve been working to acquire a new site in the city, and we’ve found the perfect place: Crystal House on Cattle Market Street in Norwich. This beautiful, historic Victorian building dates back to 1862 and shares some of its features with the original Crystal Palace built in 1851 for the Great Exhibition. We want to preserve the building's heritage for everyone in Norwich by restoring it to its former industrial use. We'll create not only a home for our new still and a place to bottle our gin, but a new destination for visitors and residents, offering tours, tastings and a shop. Part of our new premises will also offer guests the opportunity to visit a 'ginstronomy' bar and restaurant, which will blend great food with expert mixology. As well as growing the space we work in, we’re evolving the Bullards brand to better showcase our premium, unique recipes. Working with specialist drinks design agency Stranger & Stranger, we’ve developed a new identity inspired by our Norwich heritage. Our new bespoke bottles are reminiscent of a beer bottle (harking back to Bullards’ brewing history) and the shape of the neck reflects the iconic chimney stack that once graced the original Bullards’ Anchor Brewery on Westwick Street. We’ve got a palette of beautiful, rich new colours for each of the flavours, and all our bottles are festooned with our trademark ‘tipsy anchor’ and metallic copper accents. We hope you’ll love the new look as much as we do! Finally, to celebrate both looking to our future and acknowledging our wonderful heritage, we’ve developed a new flavour - Old Tom - we've modernised an old style of gin, and the bottle is inspired by the smoky chimney of the old Anchor Brewery. The first bottles of Old Tom (signed and authenticated by our distillers) are available exclusively as a reward to anyone that pledges £50. We’re proud of Bullards’ roots in Norwich, and we’re passionate about promoting our ‘fine city’. The renovation of Crystal House - which will hold our new distillery - will create jobs and revitalise an important city landmark. We’ll be developing a new destination that will attract visitors to Norwich, as well as offering residents an exciting new experience. We want to put Norwich on the UK gin map by continuing to develop more innovative gin products. Most of all, we want to give you the opportunity to enjoy delicious new flavours. Our handcrafted gins are all currently distilled in small batches using our unique copper still, which is presently housed at The Ten Bells in Norwich. Our products are stocked in local and national retailers - including Jarrold Department Store, Bakers & Larners, Majestic Wines, Master of Malt and 31DOVER - and also in discerning pubs, bars, restaurants and hotels. Our take on a traditional London Dry, softened and smoothed out with the light, sweet spice of the tonka bean. Gently-spiced sweetness - hints of cinnamon and cardamom throughout, with a dry juniper core. Flavours of smooth dry marmalade and a lasting tonka bean finish. Delicious and easy drinking when straight, smooth and citrusy when mixed. Mix with standard Indian tonic water or an aromatic tonic garnished with plenty of ice and dried or dehydrated orange slices. Very fruity: sweet strawberries on the nose, with a faint tickle of black pepper. Peppery and warming to taste, with a fresh strawberry sweetness rounding off the spirit. Designed and distilled to be a flavoured gin that doesn't compromise on the core gin flavour. Mixed with tonic or ice, the strawberry comes alive and scales up the fruit flavours, creating a very fruity, easy-going and enjoyable gin. Mix with standard Indian tonic water, or elderflower tonic to make it slightly sweeter and garnish with fresh strawberries and mint. Lemonade works well as a substitute for those who don't like tonic, or even prosecco with a strawberry garnish. Hints of Norfolk honey and pink pepper on the nose. Rich mouthfeel thanks to the honey, with pink pepper adding a spicy complexity and plenty of smooth mango softness at its core. Fresh grapefruit peel lends the gin its traditional dryness while Norfolk honey and sweet vanilla linger long after the finish. Lemon, grapefruit and honey shine when mixed. Mix with standard Indian tonic water or elderflower tonic, and garnish with grapefruit peel, lemon peel or honeycomb and vanilla. We’re delighted to have recently teamed up with Norwich City Football Club to be their official gin partner for the next three years, which means our gin will be the only one stocked in the stadium’s bars, corporate areas and restaurants. We’re thrilled that Norwich City want to support local brands, and that they’ve helped us out with some fantastic rewards. Whether you’re a gin aficionado or looking to invest in a slice of Norwich heritage, we’ve got a great pledge reward to suit you. Bottles of Bullards gin at a special pre-launch price. The very first signed and authenticated bottles of our new gin, Old Tom. An opportunity to create and bottle your own personalised gin. The chance to be among the first to visit our new destination distillery. Lunch in the Norwich City Football Club players' canteen and an exclusive tour of the training ground. Be among the first to own one of our bottles of gin in its beautiful new packaging at a special pre-launch price (usual RRP £40). Choose from our award-winning London Dry, Strawberry and Black Pepper or Old Tom. As a thank you for supporting us, you'll be able to join our exclusive members list.  Sign up to hear about new brand developments and other ‘ginteresting’ Bullards news before anyone else! Show the world you’re a ‘ginvestor’ with a stylish Bullards branded t-shirt. Choose from black or white, printed with our tipsy anchor logo and ‘GINVESTOR’ in copper. You'll also be able to join our exclusive members list: sign up to hear about new brand developments and other ‘ginteresting’ Bullards news before anyone else! Show the world you’re a ‘ginvestor’ with a stylish Bullards branded sweatshirt. Choose from a black or grey, printed with our tipsy anchor logo and ‘GINVESTOR’ in copper. Also get access to an exclusive members list with the chance to hear about new developments and products from Bullards before anyone else. Be among the first to try our brand new gin, Old Tom; a traditional drink made modern with hints of Norfolk honey and pink pepper. Pledge £50 and receive a signed and authenticated bottle from batch 001. Be among the first to own TWO of our bottles of gin in their beautiful new packaging at a special pre-launch price (usual RRP £80). Choose from our award-winning London Dry, Strawberry and Black Pepper, Old Tom or a combination. Be the first to tour our brand new Anchor Distillery at Crystal House and attend the first tasting with 2 VIP tickets to our launch in summer 2019. Plus, take away a bottle of Bullards gin of your choice to remember your day by. Be among the first to own THREE of our bottles of gin in their beautiful new packaging at a special pre-launch price (usual RRP £120). Choose from our award-winning London Dry, Strawberry and Black Pepper, Old Tom or a combination. Be among the first to own a case of our gin in its beautiful new packaging at a special pre-launch price (usual RRP £240). You’ll get two bottles of each of our award-winning London Dry, Strawberry and Black Pepper and Old Tom. The perfect gift for gin lovers - a special edition Bullards hamper including our award-winning London Dry, Strawberry & Black Pepper and Old Tom with recommended pairings and 2 limited edition branded gin glasses. 2 tickets to a Norwich City Football Club match - choose from selected dates. A special edition Bullards hamper including our award-winning London Dry, Strawberry & Black Pepper and Old Tom with recommended pairings and 2 limited edition gin glasses. Bottle your own gin - an invitation for two to our distillery where you can learn about our production process, tour the distillery, taste our gin and have the chance to create and bottle your own gin recipe which will be kept in the archives. Take home 2 limited edition Bullards branded gin glasses, a bottle of your personalised gin and a Bullards tote bag to remember your day by. Available dates from 2019. Be a part of Bullards’ history: we’ll engrave your name or company name onto a permanent plaque in the distillery. You’ll also receive 2 tickets to the VIP launch of our new distillery, including a tour and gin tasting - due to open in summer 2019. Take home a special edition Bullards hamper including our award-winning London Dry, Strawberry & Black Pepper and Old Tom with recommended pairings and 2 limited edition gin glasses. Enjoy two tickets to the Norwich City game on Boxing Day 2018, viewed from a luxury seat in the Legends Lounge complete with a glass of champagne and 3 course meal. 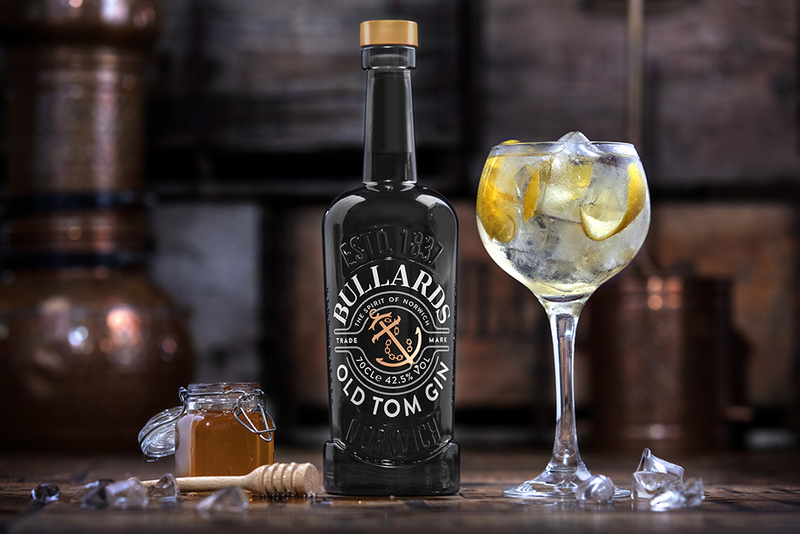 Take home a special edition Bullards hamper including our award-winning London Dry, Strawberry & Black Pepper and Old Tom with recommended pairings and 2 limited edition gin glasses. Take three friends to spend a day behind the scenes with the Norwich City Football Club team on an exclusive training ground tour, followed by lunch in the players’ canteen. There will be a chance for photos and autographs with the team. 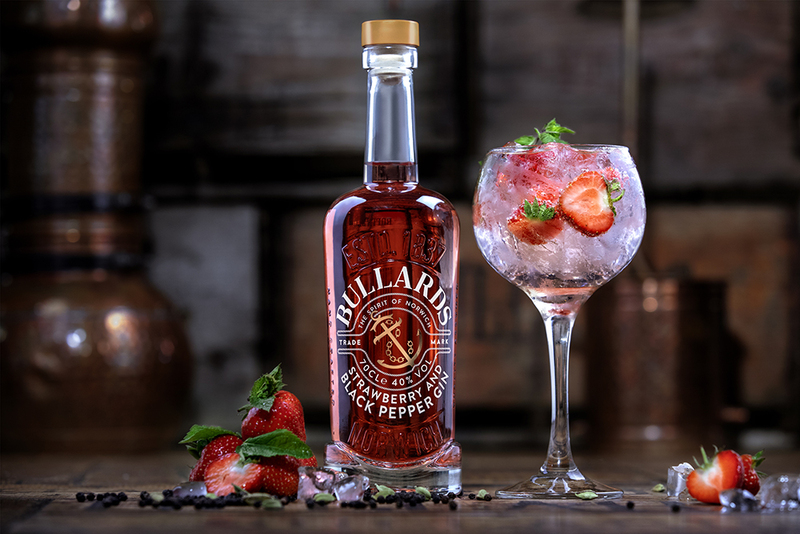 Take home a special edition Bullards hamper including our award-winning London Dry, Strawberry & Black Pepper and Old Tom with recommended pairings and 2 limited edition gin glasses. The date of this is flexible. The ultimate reward for up to 10 people: pre-match Bullards gin tasting at the Ten Bells, followed by a Norwich City Football Club game from the Regency box (choose from selected dates) and dinner at Yellows Bar and Grill. Take home a special edition Bullards hamper per person, including our award-winning London Dry, Strawberry & Black Pepper and Old Tom with recommended pairings and 2 limited edition gin glasses.